Armories in the military and law enforcement require specific storage for weapons and gear. This includes maintenance and repair tasks, as technicians need somewhere to temporarily store weapons while they’re working. 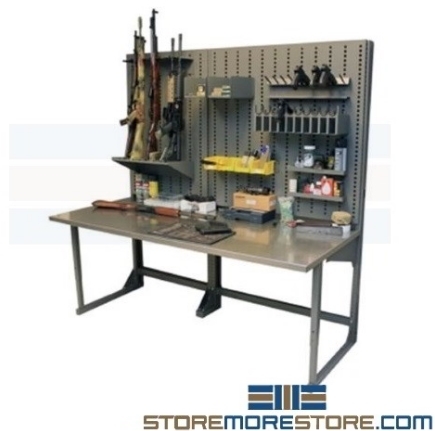 Our armory workbenches are designed to meet the unique needs of law enforcement and military facilities with an efficient design and plenty of space to neatly store weapons and tools without taking up a lot of floor space. The armory workbenches are designed to be durable and flexible to meet every need. With a proper workbench, technicians can focus on the task at hand without sorting through piles of items placed wherever they will fit. In addition, the pegboard keeps the worksurface clear and tidy for fast retrieval. This level of organization also allows quick visual inventory to prevent loss or theft. 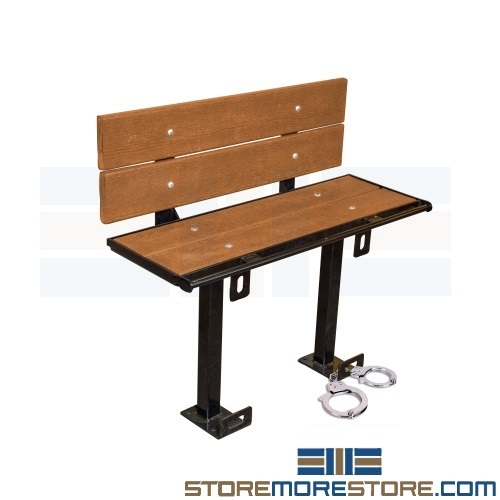 To customize your workstation, armory benches come with numerous optional accessories. 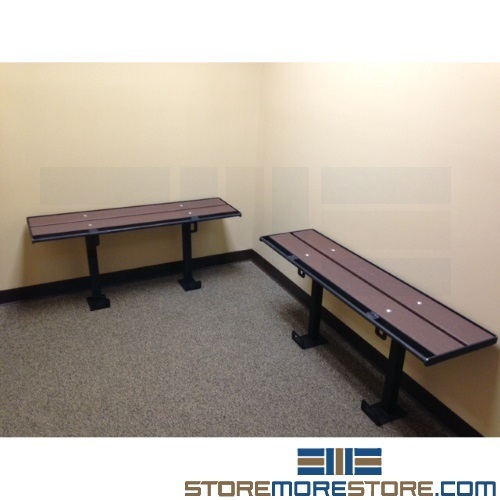 Accessories include rifle and pistol racks, shelves, ammo bins, trays, and more. Accessory kit 1 includes (1) six rifle rack, (1) five pistol rack, (2) 28″W x 12″D shelves, (1) bin rack with four 4″W bins, (2) 6″W ammo bins, and (2) 12″W trays. Accessory kit 2 includes (1) six rifle rack, (2) 42″W x 12″D shelves, (2) 6″W ammo bins, and (2) 24″W trays. 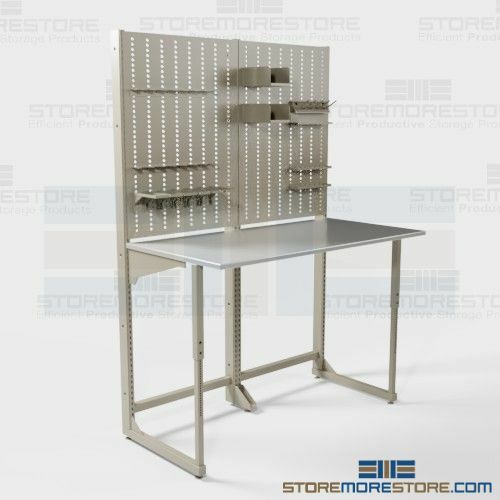 Armory workbenches are available to buy online with free dock-to-dock shipping. If you need any assistance or just want some help picking the right solution for you, please call us at 1-855-786-7667.